Happy Friday Everyone! Juma Mubarak. 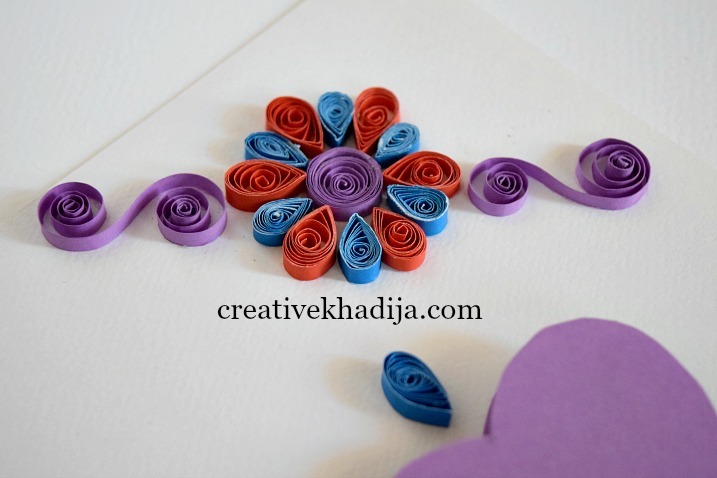 Holiday season is here, Most of you are looking for creative & unique card making ideas these days. Right? 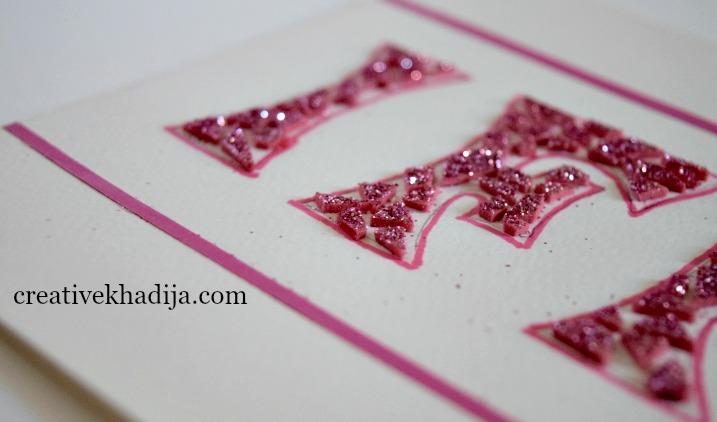 Today I am going to share one of my recent card making project. 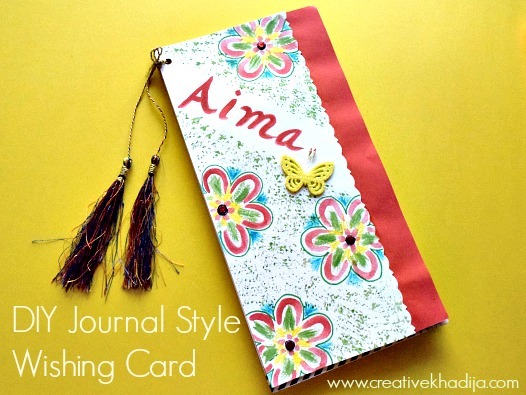 I am sure you will like the way I design it in journal & scrapbook mixed media style. 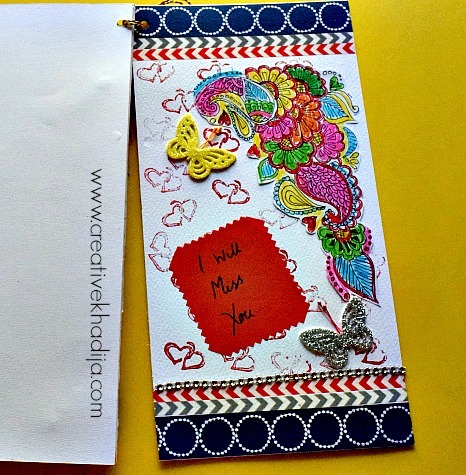 Do you remember my previous handmade cards? 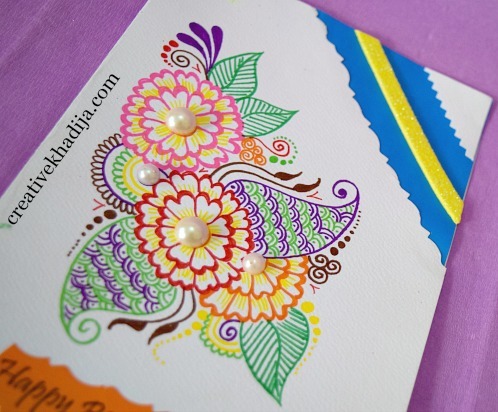 I have shared some of my other paper quilling & glitter cards few months back. 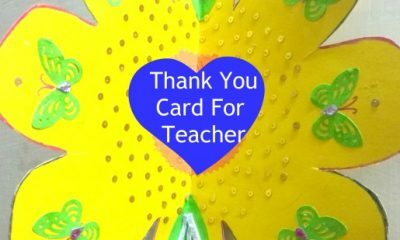 I hope you still remember those card making ideas. Let’s have a look at my today’s post with a lot of images & details related making of this card. I hope you will like it. Let’s see. 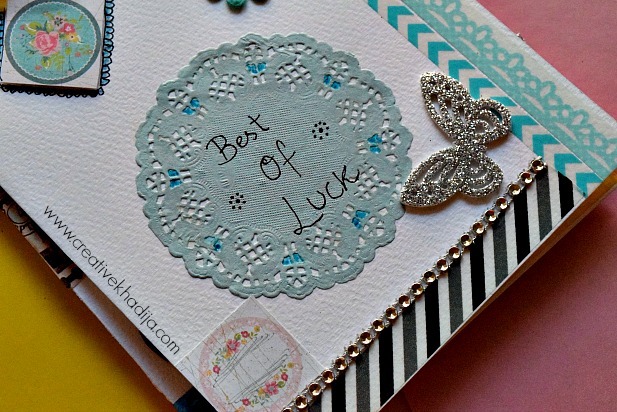 Have you ever designed a handmade card for your family or friend? 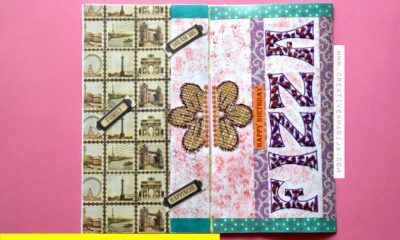 I recently design this journal style mixed media card for one of my customer who’s best friend was going to Australia for higher studies last week. 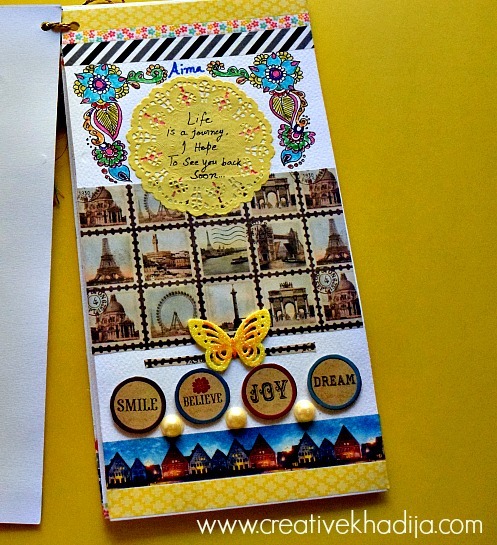 Her flight was in two days when I got this customized card making order by the client. I refuse her first as it was very limited time for me to create something properly but on her humble requests I have to make my mind for working on it. 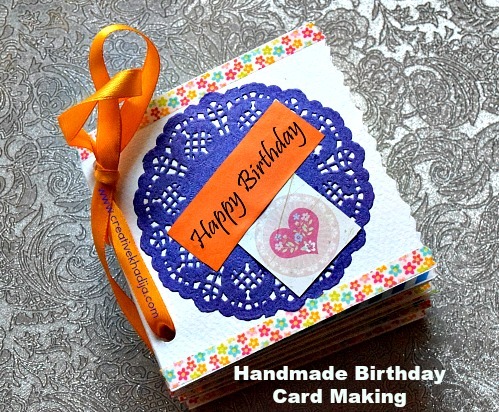 I made this card in one day, Continuously working on it for almost 6-7 hours & this is how I complete it timely. I can see many errors & improvements which an be made if I had proper time limit. As my client is okay & happy, So I feel good. In 24 hours after confirming this work order, I dispatch the product which is one of my fastest product design & dispatch so far. 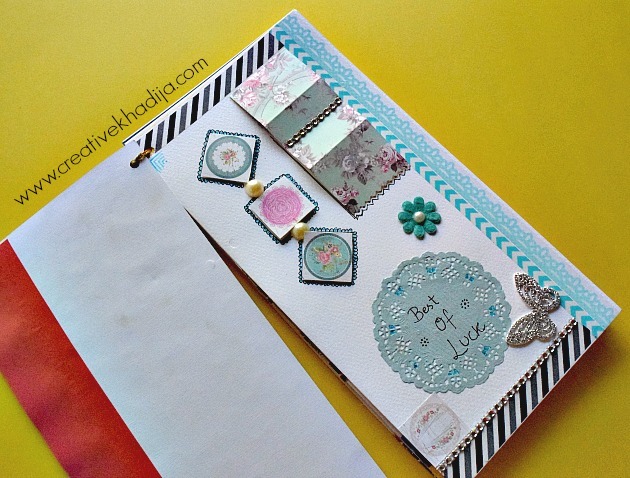 Anyways, Have a look how I made this colorful journal style card. 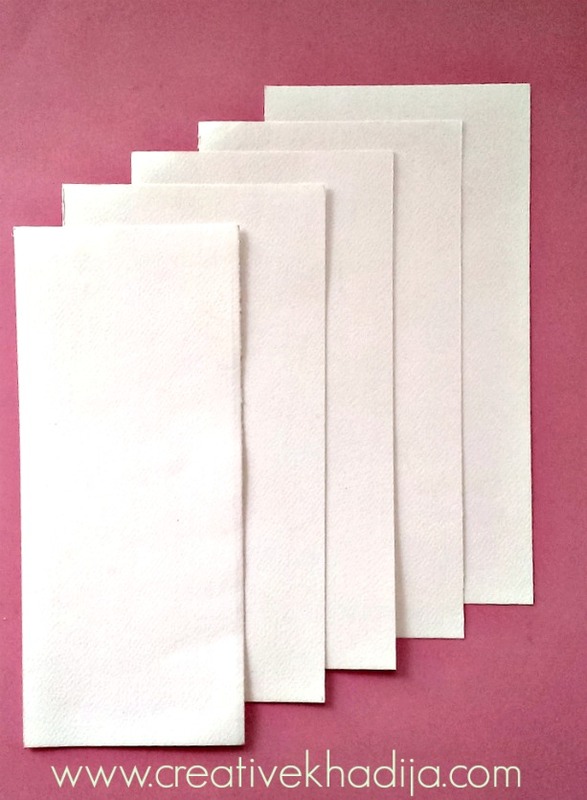 I cut five layers of canson card sheet, 4 were equal in size while the first one was about an inch short in width. I made different texture base and borders of the card sheets. For main card sheet, I cut it with a designed scissor. 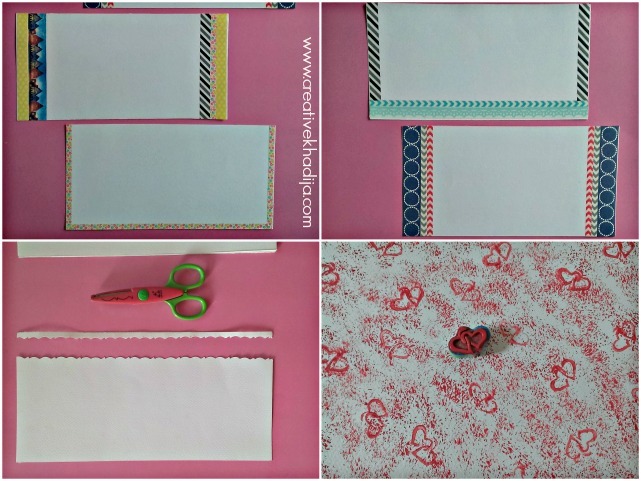 For other four sheets, I cover their borders with washi tape. 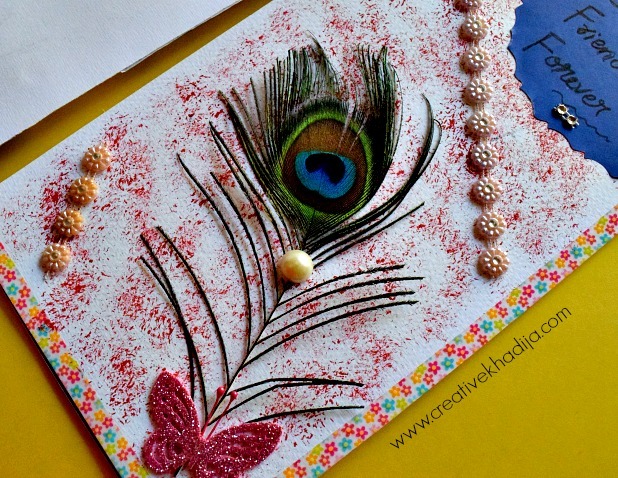 I made some freehand paint texture on surface of two card sheets with paint brush & stamp. I use a silk tassel to keep them together in a cool way. 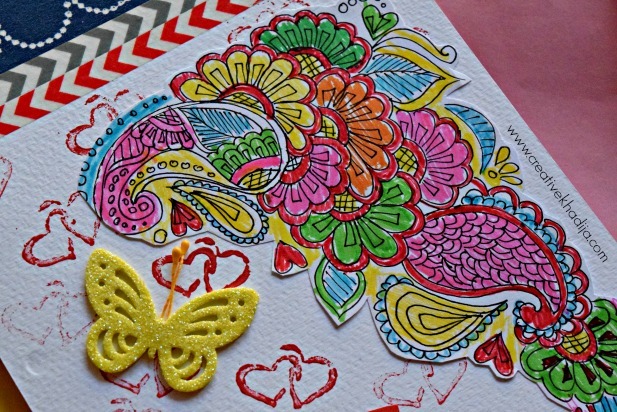 Card sheet, colorful paper, Washi tape, acrylic paint, glitter foamic sheet, scrapbook stickers, laces, poster paints, butterfly cut outs, Tassels, pearl beads flat back, paper doilies, rhinestones, scrapbook sheet, coloring page doodles, peacock feather, markers & pen. 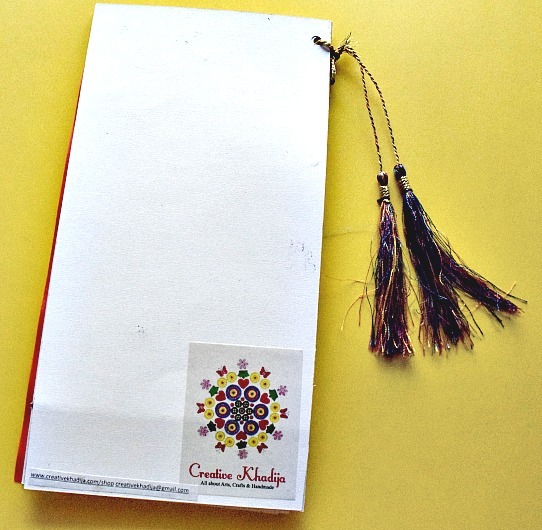 I have designed one side of the sheets while other is empty, Because my client will write there whatever she want. I hope she will study well there & will return successfully! Here below is the second page of the card. With a Smile, Believe in yourself by keeping dreams in your eyes, You can rock the world with joy. Right? This textured page is a bit minimal, I just put a peacock feather along with laces only. Texture can be more visible this way! 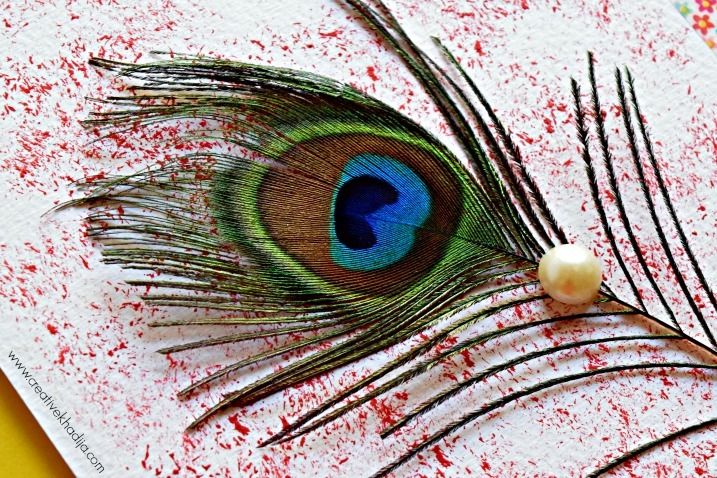 Our neighbors are having some peacocks at their place, They send me some feathers even I never asked for it. But I was happy to see so many of these feathers! 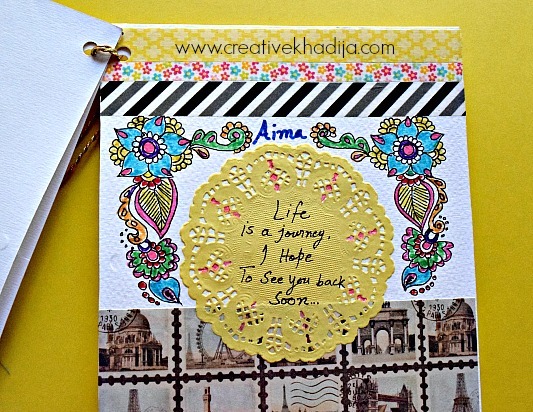 Last page of the card is so colorful, I design it with my hand doodle design & heart stamped base texture. I colored the doodle & it turned so fun! First I thought to keep it black & white but the colored version is good. 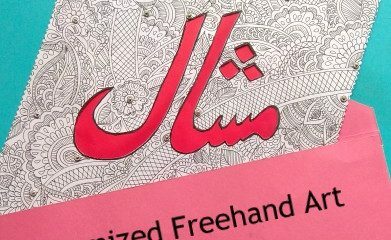 It’s been long I am planning to compose my freehand doodles book. Not sure when I will be finally working on it. But I really want to do it soon! The best part? This sticker tag. This logo on my every product. Whenever I see my craftroom wall, it makes me so happy. A random painting I did for my room is my logo & identity now. Alhamdulillah. 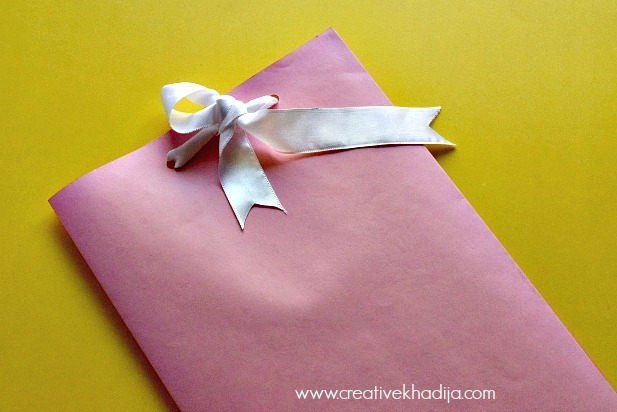 Card is packed & ready to deliver. A sigh of relief. But the real relief is seeing your client happy & thankful at getting their product in hand. I am glad to see my satisfied clients. 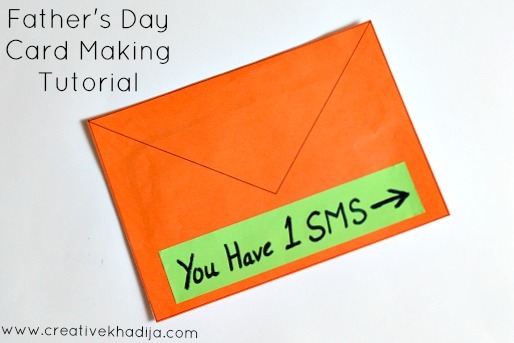 My today’s blog post is going lengthy for no reason. Haha. 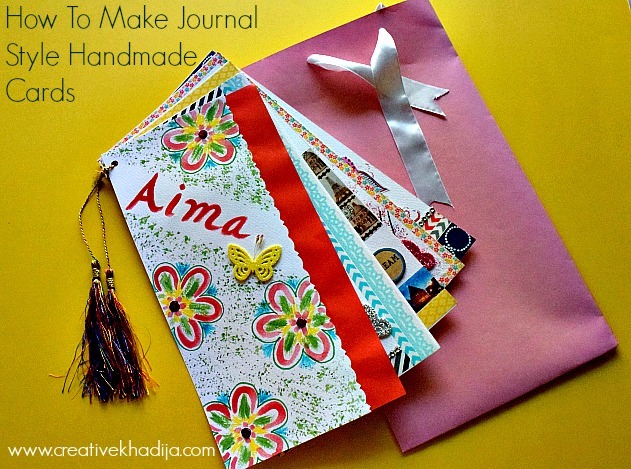 But I hope you understand well How To Make Beautiful Handmade Cards with just a simple techniques & ideas. 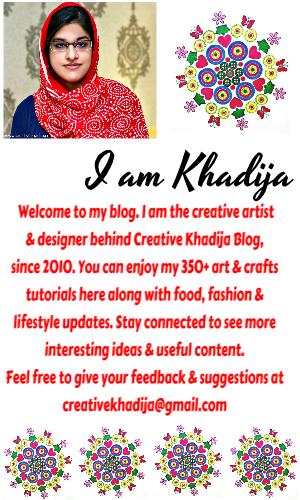 Somebody shared this on facebook a couple days back & I love reading this, As most of my readers are into handmade & crafting work, So I hope you will like this too. 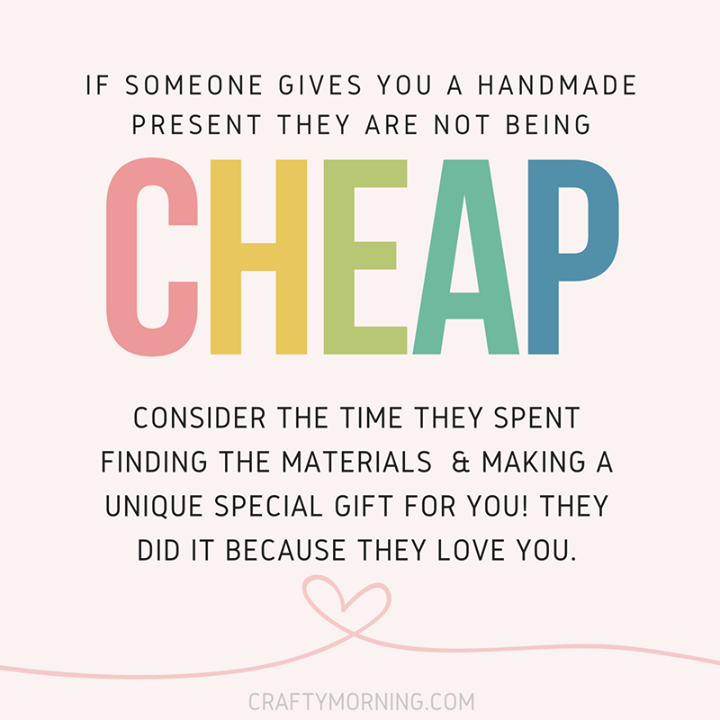 Very true is this..
You can also have a look at my other Card Making Tutorials. Have a great & blessed Friday! This is stunning, Kiran! So much work, and so much creativity. I love the concept because when I look for cards I often want to buy four or five with different messages on them. i love the last page especially with the colorful hand inked design. Fantastic post, I’m glad it was long so I could see all the details. Pinning! Thanbks Mich, You are so sweet. 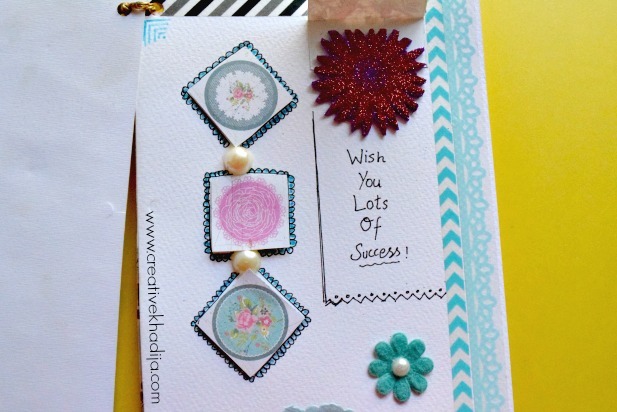 So basically this was 5 in one card :) I am glad you enjoyed all work. 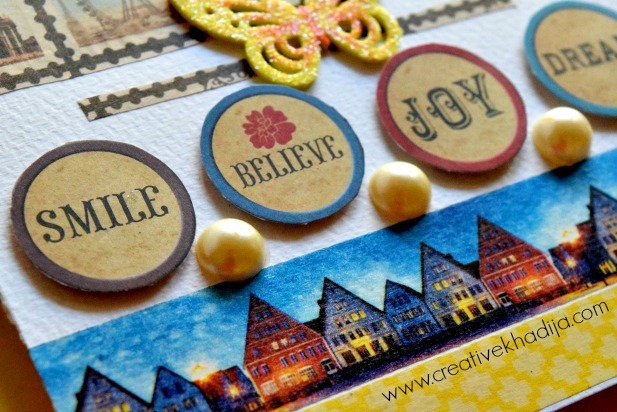 It’s just beautiful, thank you so much for sharing at The Really Crafty Link Party this week. Happy New Year! Thanks Teresa dear :) Have a blessed new year! Thanks Ruxana. You are so sweet.